Pretup is a platform of participatory financing (or crowdfunding) destined for TPE – SMEs in the form of loan paid between (lenders) individuals and a company (borrowers) that presents a need for funding. 2.1 Why lend at pretup? 2.1.9 Touch income for 5 years! 2.3.1 What can be done on pretup? 2.3.3 How does lend to the minimum, maximum? 2.3.4 am I bound by contract? Y t he evidence? 2.3.5 Can I get my money back? 2.3.6 Am I pay every month or at the end? 2.3.7 Who can lend to businesses? 2.3.8 How do we open an account? 2.3.10 How is his account "Lender" powering? 2.3.11 Should what minimum amount I pour it on my account? 2.3.12 Is there a limit amount of investment on a business project? 2.3.13 How it's going to me cost as a lender? 2.3.14 How to select the companies to which I wish to lend my money? 2.3.16 How the platform determines the rate of interest on the loan? 2.3.17 What is the King proposed to investors? 2.3.18 How is determined the score of the company? 2.3.19 How does the rating scale? 2.3.20 Is my investment guaranteed? 2.3.21 What happens after my loan offer? 2.3.22 Is there a right of withdrawal on my promise of loan? 2.3.23 Can I get my money back before the end of the loan? 2.3.24 How can I find out the amount of interest that the company will pay me? 2.3.25 Are funds deposited on the platform safe? 2.3.26 How the regulation of deadlines by the company? The company address me directly to my bank account? 2.3.27 How can I recover the interest received? 2.3.28 What happens during the contracting of the loan with the company? What is a loan contract is passed on to me? 2.3.29 What happens if the company repays his loan early? 2.3.30 Are the interest paid by the company imposed? 2.3.31 Can I swap with the company seeking financing? 2.3.32 What happens if a deadline is in unpaid? 2.3.33 Will you follow the events involved in the financed business? 2.3.34 How can I limit the risk of failure of a company? 2.3.35 How can I optimize my investment? 2.3.36 What happens if the platform stops its activity? 2.3.37 Our recommendations for good pay? 2.3.38 What is the activity of the platform is controlled? 2.3.39 What are the characteristics of the lender insurance? 2.3.40 How much does insurance cost? 3.1 Why borrow at pretup? 3.2.1 What are the eligible companies to crowd funding? 3.2.2 That can finance the participatory credit? 3.2.3 What are the terms of loans? 3.2.4 How much can I borrow on the platform? 3.2.5 What are the benefits to borrow on the platform? 3.2.6 What are the other interests of crowdfunding? 3.2.7 Who sets the term of the loan? 3.2.8 Who can request a loan? 3.2.9 What are the information required to establish a loan request? 3.2.10 What are the other documents required? 3.2.11 How am I accused of eligibility of my application? 3.2.12 How long lasts a fundraising campaign? 3.2.13 In how long can I receive the funds? 3.2.14 How much is fixed my mortgage interest rate? 3.2.15 What are the criteria of financial analysis? 3.2.16 What is the total cost of the loan? 3.2.17 How is calculated the commission of success? How is it resolved? 3.2.18 Who has access to my company's information? 3.2.19 How can I animate my fundraising? 3.2.20 Can I give up my loan application? 3.2.21 What happens if the desired amount is not collected at the end of the campaign? 3.2.22 How is the signature of the loan contract? 3.2.23 How are deadlines calculated? 3.2.24 How should I set the deadlines? 3.2.25 What is the date of withdrawal deadlines? 3.2.26 Can I repay my loan early? 3.2.27 Can I make several requests on the platform? 3.2.28 What happens in case of unpaid during the repayment of the loan? 3.2.29 What happens if the platform stops its activity? 3.2.30 What is the activity of the platform is controlled? 4 Security question, which is pretup? Each investment has a return between 6 and 11% per year depending on the rating of the company. You cash, from the month following the beginning of the loan, the repayment of a portion of principal and interest. You can then reinvest the money earned on new projects or the refund into your bank account. Opening a "Lender" account is free. During your registration, personal information you will be asked (name, surname, telephone, mail). In your personal space, we will ask you to download supporting documents (identity document, proof of domicile less three months, noted banking identity RIB); You can take a photo from your mobile phone. These documents are mandatory as soon as the payment on your account "Lender" exceeds €1000 or for any refund of your "Lender" account to your bank account. There is no entry for the lender, or management fee charges. The platform only pays to the company seeking funding. Rate, the platform assigns a score (between A-note the high and E-note low) corresponding to an assessment of the financial soundness of the company. The interest rate of the loan will depend on two variables: the score awarded to the project and the length of repayment. Contractors are caught in an economic impasse, in which find financing from banking institutions becomes a real obstacle course. Of interest rates increasingly lower investments at risk, opacity in the management of assets: it is the daily lot of smaller investors or big investors. Simplicity and efficiency: this is what await individuals of their savings; know where to share their money and get a good return. Lend to businesses in your area today. When we talk about 'economy', thought too often and too quickly to major groups: telephony, luxury, heavy, agri-food industry, finance, directly come to mind as being the heart of the French economy. In fact, these are SMEs which it takes to revive our economy, their scale, without underestimating provided their development ambitions! And for good reason: they represent more than nine-in-ten companies. It is a formidable ecosystem of proximity, which work at all levels, local to start. The maintenance and job creation is one of the major priorities of our entrepreneurs who mobilized on a daily basis for years to help revitalize the economic fabric of their region. And for this, our SMEs entrepreneurs take risks every day. Their businesses thrive, innovate, impress investors and… hire! They also know to export to the world and to settle successfully, evidence that the know-how and innovation made in France are not empty words. With a historically low rate of pay, the Livret A does more – it is the least that we can say – unanimity. Savvy savers, seeking better paid placement can retrieve up to 11% of interest. What's the point of saving? It brings more nothing! This reflection, individuals are more likely to arise the seeing the rate of the Livret A is clip every year. While he still reported 2.25% in 2012, his performance was more to 1.25% in August 2013, then 1% a year later… to finish at 0.75% since August 2015. Now, 10,000 euros on the Livret A placement reports that 75 euros at the end of a year when he was still offering 225 euros in 2012. Unfortunately, the remuneration of the placement preferred of French (it is almost tradition to open a Livret A to each birth) may decrease further. Indeed, if the strict formula for determining the rate (this is the average between inflation, almost zero, and short rates close to zero, all increased by 0.25 point), the Livret A compensation will be better maintained in the coming months (on policy) but mathematically, it should fall to 0.50%. At the base, diversification is a way to not lose all his money in the event of loss of support (see CAPM). Simple. The idea is therefore that by having several investment supports disconnected from the other, the lower one is not downward on the other. C´EST your money goes it who choose where. The investment ticket starts at € 20 for an enterprise project. Legally, an individual doesn't have the right to invest more than € 1000 on a given project. However, there is no limit on the total amount lent to companies via the platform. You can lend to as many companies as you like as long as the amount on a project does not exceed € 1000. There is no entry for the lender, or management fee charges. The platform only pays to the company seeking funding. The company will refund part of the capital in each monthly deadline. Touch income for 5 years! The projects presented are guaranteed by the Groupama Gan insurer in the amount of 50% of the capital loaned, without charge to the lenders. PretUp is working with Bank BPCE for the management of financial transaction flows and currency accounts electronic (the balance of the accounts are guaranteed by the French State guarantee fund). Lenders identification documents are required only from €1500. Any adult person fiscally resident in France, not covered by the regime of the "US Person" under the US tax administration and holding a bank account opened with a Bank established in France can be. Loans offered on the platform work on the principle of the depreciable fixed monthly credit. A schedule is established between each lender and the company, which sets the proportion of capital and interest on each maturity (the schedule is added to the available in the personal loan contract). Like on a real estate loan, the amount of interest is more important on the first deadlines. Pay from €20 and make an attractive investment between 6 and 11%. The interest rate of the loan is determined by pretup. The funds lent to businesses are not guaranteed. Despite a strong selection of proposed businesses on the platform, investment in small and medium-sized businesses is risky in nature, there is a possibility of capital loss on some or all of your investment. We strongly recommend that you allocate your investments in several companies: it is better to pay €50 to four companies as € 200 to a single company. There is no cost of entry for the lender, or management fees. The platform only pays to the company seeking funding. Platform assigns a score (between A-note the high and E-note low) corresponding to an assessment of the financial soundness of the company. The interest rate of the loan will depend on two variables: the score awarded to the project and the length of repayment. Projects with a note correspond to companies with the highest financial strength, those with a B note are companies with financial strength strong. Projects with a C note are submitted by enterprises with proper financial strength, note D for companies whose financial strength is average and finally the E note to companies whose financial strength is low. I strongly advise to allocate your investments on several projects to pool risk. If you want to invest a large sum, I advise you to several companies to limit your exposure in the event of a borrower. This part is directly extracted from pretup, I am not inventing (source: https://www.pretup.fr/preter/faq-preteur). What can be done on pretup? You invest in businesses and cash interest every month. You discover French companies developing with a need for funding. You open a free account and without commitment on PretUp in 10 min. just three documents (identity, rib and proof of address card). Just then to deposit funds in a secure space. To ensure a better pretup security do not guard funds, partner electronic money to the banks popular savings banks (S-Money). You can deposit by credit card or bank transfer. How does lend to the minimum, maximum? You can lend on each business between 20 and 1000 project. The maximum is defined by a law. am I bound by contract? Y t he evidence? At the end of the collection, a loan contract binds you to the company you have chosen. You can track your investments in a dashboard detailing your loan portfolio. You can transfer your funds to your bank account at any time (and unfortunately); or the re – invest on other projects to optimize your compensation or leave them. Am I pay every month or at the end? You collect your payment and interest on a monthly basis to your PretUp account. That is, every month recover you your capital and the intrrets on the remaining amount. Who can lend to businesses? Opening a "Lender" account is free. During your registration, personal information you will be asked (name, surname, telephone, mail). In your personal space, we will ask you to download supporting documents (identity document, proof of domicile less three months, noted banking identity RIB); You can take a photo from your mobile phone. These documents are mandatory as soon as the payment on your account "Lender" exceeds €1000 or for any refund of your "Lender" account to your bank account. In accordance with regulatory requirements (fight against capital laundering and the financing of terrorism), we pretup must carry out inspections on the identity of lenders from the requested documents. How is his account "Lender" powering? After the opening of your account, simply click on the button "Credit my account", to fall on a secure interface managed by our payment partner. Authorized payment methods are credit card (within the limits of the ceilings of your CB) and the transfer. The payment by credit card is directly credited to your payment account. Should what minimum amount I pour it on my account? The investment ticket starts at € 50 for a business project. This is the amount needed to open a payment account. However invest in a project requires only €20. Is there a limit amount of investment on a business project? Legally, an individual doesn't have the right to invest more than € 1000 on a given project. However, there is no limit on the total amount lent to companies via the platform. You can lend to as many companies as you like as long as the amount on a project does not exceed € 1000. How it's going to me cost as a lender? How to select the companies to which I wish to lend my money? Great debate, this is the hardest part, certainly you have many possibilities. In each record, you have detailed information about the company in search of funding. The platform is not involved in the selection of your investment. Crowdfunding allows companies to develop their business, for example by financing purchase production tools, stocks or advertising campaigns… The purpose of the funding is specified in the detailed page of the project. How the platform determines the rate of interest on the loan? The interest rate is fixed to this matrix of rates (the rate can be refined based on company-specific criteria). What is the King proposed to investors? How is determined the score of the company? How does the rating scale? Projects with a rating of A (label on the job "Very low risk" card) correspond to companies with the highest financial strength, those with a grade of B (wording on the card project "Low risk") are companies with financial strength strong. Projects with a grade C (wording on the job "Moderate risk" card) are presented by companies with good financial strength, the note D (wording on the card project "Risk Fort") for companies whose financial strength is average and finally the note E (wording on the job "Very high risk" card) for companies whose financial strength is low. No, the funds lent to businesses are not guaranteed. Despite a strong selection of proposed businesses on the platform, investment in small and medium-sized businesses is risky in nature, there is a possibility of capital loss on some or all of your investment. We strongly recommend that you allocate your investments in several companies: it is better to pay €50 to four companies as € 200 to a single company. What happens after my loan offer? The tough fundraising average 30 days, unless the amount sought by the company has been reached before. In each project page, there is the number of days remaining before the end of the collection. The company determined a trigger level (percentage of the search), from which it accepts loan funds if that threshold is not reached, investors are reimbursed in this case amounts to the promises of loan on their account "lender". Is there a right of withdrawal on my promise of loan? No, you can not cancel a loan promise you made on a company. The amount is refunded only if the trigger point of the project is not reached at the end of the collection. Can I get my money back before the end of the loan? The company will refund part of the capital in each monthly deadline. But you must wait for the loan to recover all of your investment. Similarly, you should not be engaged in a loan transaction, to request closure of your account "lender". How can I find out the amount of interest that the company will pay me? Are funds deposited on the platform safe? Payments made on your account "Lender" do not pass through the bank accounts of the platform. The funds are cashed by our payment provider, which is controlled by the PTA (prudential and Resolution authority) regulator of banks. The money deposited into your account "Lender" remains your property as long as you did not offer loans. How the regulation of deadlines by the company? The company address me directly to my bank account? No, the platform manages all financial flows. We collect payments on the bank account of the company and carry out the distribution of funds in each account "lender". Your money will not be paid directly into your bank account, but will supply your account "Lender" accessible from your personal space. How can I recover the interest received? You can follow your available balance, broken down into principal and interest in your personal space. You have the opportunity to reinvest these funds on new projects or to claim part or all of your available balance on your account at any time. In your personal space, you must enter your bank details to make the transfer of the funds on your account. What happens during the contracting of the loan with the company? What is a loan contract is passed on to me? Each lender electronically signs the contract of participatory credit with the company in the event of successful collection. This loan agreement is made available in your personal space. You can print it or save it on your computer. What happens if the company repays his loan early? The company can make a prepayment only after the first year of the loan. In this case, the timing stops and principal outstanding is repaid on each account "Lender" of the platform. Are the interest paid by the company imposed? From interest on the loans are fixed income investment products; they are subject to the income tax (fixed levy of 24%), to which must be added the social contributions of 15.5%. These two taxes subject to a withholding tax. The interest you receive each month are subject to this withholding: you cash so the interest net of tax. For the fixed levy of 24%, it is a down payment on your income tax. The surplus will be refunded by the tax administration. You report this interest on your tax return; each year, we will tell you the amount to be reported by the transmission of an IFU (unique tax form). Can I swap with the company seeking financing? We will soon put in the job card a space to interact with the business manager. What happens if a deadline is in unpaid? We will inform you as soon as the taking of a deadline is unpaid. We then contact the head of the company in order to analyze the situation. In case of technical default, we represent the levy as quickly. We are asking the company to regularize as soon as the unpaid. In the case where we don't find a solution with the company, the claim is automatically transferred in a recovery specialist company, to open legal proceedings against the company if necessary. PretUp cannot be held responsible for delays or failure of the project manager. Will you follow the events involved in the financed business? With our partner financial data, we have implemented a system of automatic alert on every business that is financed, allowing to know any event that could impact repayment of the loan. How can I limit the risk of failure of a company? We strongly recommend to divide your investments on several projects in order to share the risk. If you want to invest a large sum, we recommend to several companies in order to limit your exposure in the event of failure of a borrower. How can I optimize my investment? What happens if the platform stops its activity? We signed a clause of extinctive management with our payment provider S-Money. In case of failure on our part, the company continues to set deadlines with the payment provider and funds are repaid from the lenders as before. Our recommendations for good pay? We encourage you to keep an eye on your ability to lend to businesses. We put at your disposal in your personal space a simulator to assess your ability to save, depending on your available resources and your annual expenses. What is the activity of the platform is controlled? Yes, PretUp is approved with ORIAS as an intermediary in Crowdfunding (IFP). PretUp can be controlled at any time by the authority of control Prudentiel and Resolution (PTA), the same organization that supervises banks. What are the characteristics of the lender insurance? PretUp has implemented from October 15, 2015 a new insurance with the insurer Gan-Groupama through the broker Gras Savoye. The interests that you get each month are "fixed-income investment products" as of the interests of banking booklets or coupons of bonds. There are taxable in the income tax. In practice, PretUp reverse you your interests after a withholding lump of 24% added to social security levies (15.5%). This is a down payment on your income tax. Any excess over your final tax will therefore be refunded. Caution: any false statement on your part would incur your responsibility. This exemption from advance payment on revenues in 2016 may apply only on income received after the receipt and processing by this Declaration on the honour PretUp indicating that you meet the conditions required by law (date of deadline for receipt of the certificate for revenues in 2015: 30 November 2015). Note: a portion of social security levies (5.1% CSG) is deductible from the taxable income of the year of the payment. This amount will be calculated and deducted automatically from your taxable income by the tax authority. Each year, PretUp will be a single tax form (IFU) in your secure personal space PretUp, to help you complete the slip of income tax. Investment in fixed income products are not taxed in France where the recipient is "non-resident" tax french. There is a mandatory levy only for products made by a debtor established in France to a recipient located within a State or non-cooperative territory. The tax resident non-french is not subjected to the legal tender lump-sum levy social security levies. You perform your application online in just a few clicks. PretUp takes care of everything: the collection of funds to the formalization of the loan agreements. What are the eligible companies to crowd funding? All companies domiciled in France (SAS, LLC, AES…), registered at the register of Commerce and companies and having closed their second fiscal year, may file a request for participatory loan. Moreover the annual turnover of the company must be greater than € 100,000. That can finance the participatory credit? What are the terms of loans? How much can I borrow on the platform? You can borrow between 2,000 and € 70 000 on the platform. The amount may be revised upward by the platform according to your financial ability. What are the benefits to borrow on the platform? What are the other interests of crowdfunding? The platform brings together a community of lenders, who want to support the local economy. You increase the reputation of your company during the fundraising campaign by bringing together a community of lenders-individuals. Who sets the term of the loan? You decide the term of the loan based on the amount of the required monthly payment. The legal representative (Business Manager) or a collaborator with delegated authority, can write a request to borrow directly on the website. What are the information required to establish a loan request? Upon the filing of your application for funding, you must provide information about the identity of your company (SIREN, headquarters social..), the amount sought, the subject of the need for funding, contact information for your accountant. You must provide your last two tax bundles of your business for the financial assessment. What are the other documents required? In order to carry out all the controls necessary for the funding request, you must provide the articles of Association, KBIS, ID of legal representative, a proof of residence for the ruler of less than three months, your last three statements of bank account and a bank account number to which the borrowed funds will be paid. In the case of a corporation or a shareholder holds more than 25% of your capital shares, we ask you in addition one K-Bis (for a company), or a proof of identity and address for a particular shareholder. How am I accused of eligibility of my application? After completing your loan application, we will get in touch with you to complete your file if needed and discuss your need, your business. We then proceed to analyse your application and a response for crowd-funding eligibility is sent to you a few days after. In the case of a positive response, we jointly set the date of publication of the project; who will set the starting point of the collection of the loan offers. How long lasts a fundraising campaign? Your project is published for one month, it is automatically stopped as soon as the desired amount has been collected 100%. In how long can I receive the funds? As soon as the campaign is over and that the amount sought is achieved (the threshold exceeded); funds are transferred to your bank account three days after. How much is fixed my mortgage interest rate? With the help of our partner financial data provider, we will assign a score between A (highest rating) and E (risk profile). The note and the term of the loan determine the interest rates at which you can borrow on the platform. Interest rates are between 6 and 11% per year. What are the criteria of financial analysis? We exchange on the subject of your need for funding, over the next months of activity of your company, in order to have all the elements to precisely set the mark of the project. Access to the listing of the Bank of France may also be required during the process. The cost of borrowing is comprised of interest paid to lenders, the research commission of investors, the commission of success (between 3 and 5% of the amount financed) and a management fee (for an amount of 1% per year of the remaining capital due) charged to each monthly due. How is calculated the commission of success? How is it resolved? Success commission is deducted from the amount made available. It is only due if the collection has exceeded the threshold (set between 60 and 70% of the desired amount). It is a percentage of the amount borrowed: 5% (TTC) for loans less than € 12500, 4.25% (TTC) for amounts between 12501 and €17500, 3.75% (TTC) for funding between 17501 and €22500 and 3% (TTC) for € 22501 bonds. Who has access to my company's information? Any visitor to the platform can access the job card containing information of your business. However, access to financial data is reserved for our lenders on the platform members. How can I animate my fundraising? Crowd funding is based on trust and transparency between different stakeholders. More your project is coherent, more you are lucky to attract many lenders. Your project must seduce and convince the community of lenders. The careful presentation of your company and the choice of the photos are important assets for success in your campaign. Do not hesitate to furniture the direct environment of your company (employees, partners, customers, suppliers, friends, family…), they are the best ambassadors for your project and you have confidence in your ability to repay your loan. You will be able to answer the questions of the lenders during the fundraising campaign. Feel free also to animate your campaign of crowdfunding on social networks (facebook, twitter, viadeo, linkedin, google +..). Can I give up my loan application? You can revisit your decision until your project has not been published on the website. What happens if the desired amount is not collected at the end of the campaign? Or collected exceeds the trigger level, the loan is put in place. Either the amount collected is less than the threshold, in this case lenders recover funds and you pay no commission. How is the signature of the loan contract? At the end of the collection, you must electronically sign a contract of loan to each lender (a single contract is signed, it is attached to an individual document by lender). The contract documents are then put at your disposal in your personal space: you can save them or print them at your convenience. The loan offered on the platform is a depreciable credit at fixed intervals. You pay every month the same amount consisting of a part of capital and other part of interest. The amount of interest in maturity decreases as the repayment of capital. Returning to the platform management commission is charged in the same maturity as the loan. How should I set the deadlines? Monthly payments are made by our service provider of payment via the SEPA debits on your bank account. The signing of the loan contract, you sign a SEPA mandate to allow samples of deadlines. A single sampling is initiated for the whole community of lenders. What is the date of withdrawal deadlines? Samples is scheduled for the 5th of each month; the first deadline is taken one month after the implementation of the loan. Make sure you supply your bank account to avoid any incident of payment. If the due date falls on a non working day, the monthly payment is charged the next day. You can repay your loan for free after the first year of the loan. We then conduct the repayment of the principal amount remaining due from each lender. Can I make several requests on the platform? We demand the total repayment of the original loan, before making a new request for funding on the platform. What happens in case of unpaid during the repayment of the loan? We will contact you as soon as a rejection of withdrawal occurs, in order to understand the origin of the unpaid (technical unpaid, insufficient funds in the bank account). We ask you to rectify the situation as soon as possible. In the event of late payment, a delay of €50 commission over 8% of the due amount is charged to you. We recommend that you make contact as soon as possible with our services in case of difficulty to set deadlines for the loan. If the outstanding balance is not regularized within a few days, the claim is then passed to a collection company, open court/judicial proceedings to recover the amount due. We signed a clause of extinctive management with our payment service provider. Failure on our part, you continue to set deadlines with the payment provider and the funds are repaid from different lenders. Security question, which is pretup? Pretup is a SAS certified registered to the ORIAS as an intermediary in participatory financing (IFP) under number 15001415. PretUp can be checked at any time by the authority of control prudential and Resolution (ACPR), the same organization that oversees banks. PretUp is a 100% subsidiary of Partners finance expert for 20 years in financial solutions for the restructuring of credits. The Mentor, which group part PretUp and Partners Finance, has 430 employees and made a turnover by 2014 over EUR 30 million and 19 million euros of equity. However I n´ai not the ruling l´equipe list, unlike some competitors. Its address is 16 RUE VICTOR HUGO, 54000 NANCY. J´en welcome to l´occasion to request a tour of their offices. There is a clause of extinctive management with the payment provider S-Money. If PretUp fails, the company continues to adjust the deadlines with the payment provider, and the funds are reimbursed from the lenders as before (valid at the competitor also (see http://richesse-et-finance.com/investissements/). 3W-online is an online marketing agency founded in 2007. Scores & Decisions, source, aggregates, analyzes and disseminates all legal and financial information on companies. PretUp is a member of funding participatory France (FPF), which is an association law 1901 having for objective the collective representation, promotion and defence of the rights and interests of the actors in participatory finance (also called crowdfunding) – among the regulatory authorities – to advance funding of projects (business, cultural, social, humanitarian, etc.) by citizens, in particular in France. The mutual origin of insurance, Groupama was born at the beginning of the century last initiative of farmers wishing to protect themselves from the risks associated with their activity. Today, if he remains the first agricultural mutual and local communities, Groupama also became a universal Bank and insurance group. Its sector expertise and multichannel is for everyone and made the Groupama group, to which part the insurer Gan, a key player in France: first mutual insurance company with 13.7 billion of turnover (in 2013) and 8th General insurer. The approach Lorn'Tech, driven within the dynamic French Tech, is a common ambition, bringing together public and private stakeholders in the service of the digital ecosystem and Lorraine region economic development. The furrow Lorrain was labeled by Axelle Lemaire as Region French Tech end of June 2015. PretUp participates in Lorraine digital radiation in the development of the FinTech in France. A group, Score & Decisions, Altisys, Recocash. Recocash is a major player in out-of-court and Court of claims civil and commercial recovery that accompanies, for more than 40 years, customers in the optimization of their client computer and cash. I recommend to do to them. PretUp is partner of S-Money for the management of financial flows. TousNosProjets.fr is a search engine that facilitates access by the contributor users to projects to impact Social, environmental, cultural or economic driven participatory finance french operators, partners of the site. Viaevista is a company of experts computer, web, mobile and communication. PretUp uses the YouSign solution for the electronic signature of documents. When connecting, the site is well done, it is impossible to say that l´on is lost easily on. Tabs are well done and so really is there any this qu´il y needs. Registration is classic, nothing special to report except that you must provide bank details + map identity and proof of address. The dashboard section is blank first, but will fill up as your projects. In the selection of the project, I put some examples. The menu is intuitive and it s´y found easily. Side analysis rather well-done c´est, there are even l´analyse l´expert pretup. Funding relates to the development and delivery of a crusher-refiner of sawdust bought in Germany at a price of 265 €000. The company seeks the investment community PretUp for a financing of € 20,000 over a period of 60 months at a rate of 5.5%. 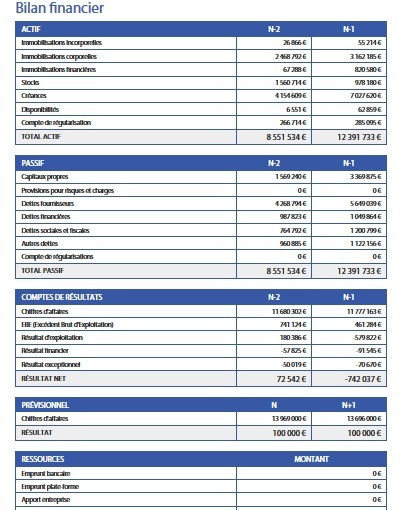 Turnover, 11.7 million euros over last fiscal year 2014-2015 (closing in June), comes from two sources: the resale of Kwh of EDF (recurrence of the turnover with a price agreed in advance) and the sale of wood pellets. With the purchase of this new machine, the company will increase its production to 52000 tonnes mi 2016. Thanks to a good network of distributors in the South of France, Switzerland and Italy (with affiliation agreements annual indicating month by month the volumes taken by customers), the company should easily sell its production, driven by a favourable context (setting in light of this type of fuel). The company proceeded in early 2015 to a capital increase of 1.65 M€. The company suffered a loss on fiscal year 2014-2015, linked to mild weather and a price per tonne down. The objective is to generate advantage in 2015-2016, on this rapidly growing market, thanks to this new mill and in worldwide sale in distribution network. The company has been affected in the class of risk A. Over 60 months, the interest rate was set at 5.5%. This project benefits from free insurance proposed by the Groupama Gan against the risk of death / disability of the leader, as well as the risk of failure. A graduate in business management, Mr Chin is the Director. Alps energy wood and wood du Dauphiné is a family business, each Member of the family has a specific role in the company. One of the brothers of Mr Chin runs the supply and slaughter, three other brothers run the sawmill activity and sister rule the administrative and accounting side. A forest father, 5 brothers and Associates engage in Affairs in 1983. At the time, it was a logging company, which bought the Woods on foot and resold them cut and sorted at local sawmills. There is clear risk of death / disability of the leader, as well as the risk of failure, risk zero n´existe not. This is the d´assurance contract (yes I did my job search, I'm not number 1 for nothing) Notice_d_information_PRETUP_10. At the moment c´est fashion d´offrir of guarantees, so pretup behaves as it must. the date of the judgment of legal redress or liquidation. -50% of the monthly payments (in capital and interest) of the loan maturing. It is specified that the monthly payment taken into account by the insurer is in the table of current depreciation at the date of the judgment of legal redress or liquidation, subject as it has been brought to the knowledge of the insurer. Support of the first and the last monthly payment amounts are calculated pro rata temporis. Amounts owed due to a delay in the settlement of payments (unpaid loan maturities, interest for delay...) are not supported. Regulation for the benefit of the insurer stops such as the company is no longer in receivership. Okay here is the contract it is classic but you know the limits. The balance sheet and ratios are made so that n´importe that can understand them, which is a very positive point. So doing the round arguably as pretup c´est investment, the simplest possible, you choose only the project and the sum and c´est everything. C´EST simple, clear and unfussy. J´ai, personally invested and you? An interesting site on all points. Performance, time, statistics… In short I found no sources of dissatisfaction at the moment.